Often I hear from parents, "I don't want to take my kids to Disney until _____." I understand many reasons, such as kids who won't sleep away from home, not wanting to deal with naps, and not wanting to deal with a stroller, but one thing I never understand is "waiting until they're old enough to remember". Ugh, what a lot of pressure for your kid! How long do they have to remember to make it worth it? First thing you need to do when you think about a Disney vacation is to throw that minimum age out the window. Now, consider the fact that your child can fly free as a lap passenger until age two and doesn't need a Disneyland or WDW ticket until age three. Now are you considering it? 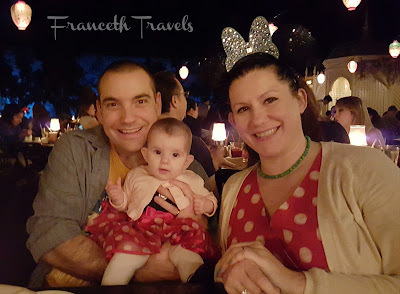 Let me share some tips on how to make Disneyland and Walt Disney World FUN with a baby!